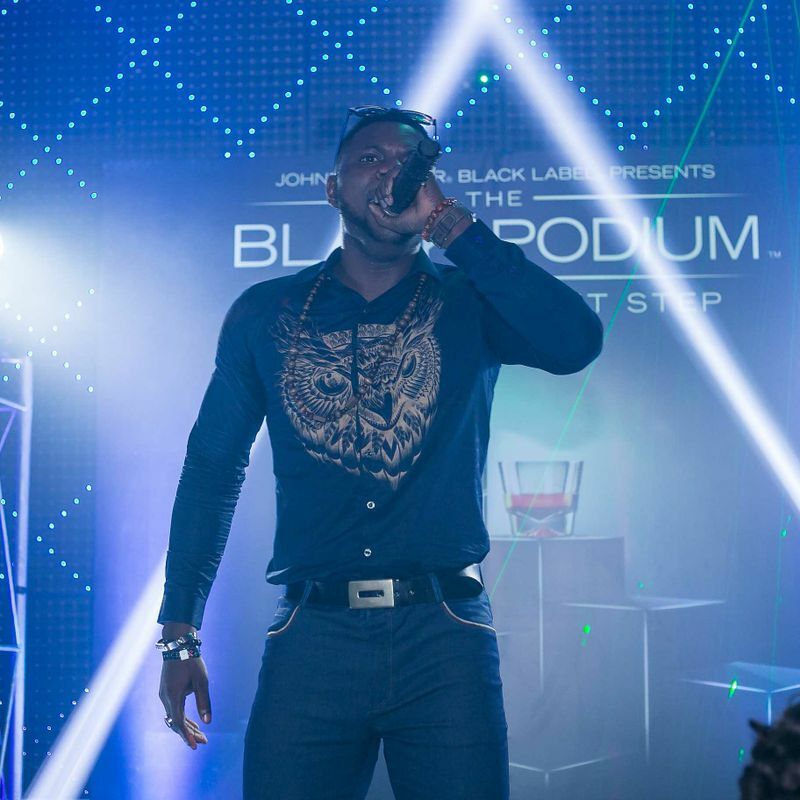 The Johnnie Walker Black Podium was back in Lagos on Saturday March 7th, 2015 at Quilo performers, including Timaya, Rayce and a contortionist act took to the stage to amaze the crowd. The duo, comprised of DFlex and Richy, performed their double-jointed spectacle alongside headline acts Timaya, Slyde and Rayce, as well as dance group DNMT and saxophonist Doyin Sax. The event was hosted by SenseiUche of CityFm with DJ Neptune on the decks. Other celebrities that stepped up to the Black Podium included 2Face and Annie Idibia; Storm Records manager Tola Odunsi; filmmaker Kemi Adetiba; designer Yvonne Nwosu; and New York-based fashion photographer & Africa’s Next Top Model judge, Remi Adetiba. All guests were treated to the bold taste of a Johnnie Walker Black Label cocktail and proved they were a stepped-up crowd by posing on the Johnnie Walker podium photo stand.